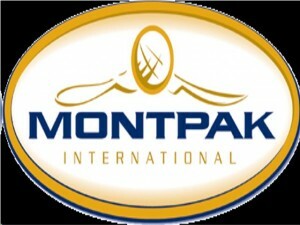 Montpak International is a family-owned Canadian company. Headquartered in Quebec, the company is engaged in the processing of veal products. Montpak was founded in 1959 and has been engaged in the processing of different varieties of value-added veal (frozen and fresh) products. In 2006, Montpak merged with food company Bellivo and became Montpak International. As a vertically integrated company, Montpak International conducts “field-to-fork” operations at its federally inspected facility. Montpak International’s facility is HACCP-certified, ensuring customers that the products produced in the processing plant are all safe and in high quality. Montpak currently has two processing facilities, one in Montreal and another in Sainte-Angele-de Premont. Its facility in St-Germain in Quebec is one of the largest HACCP-certified plants specializing in veal slaughtering. Montpak International strives to make customers happy by offering different products for preferences. The company offers its customers the option of grain-fed or milk-fed veal products. Most of Montpak’s customers are food service distributors, food retailers, further processing companies, and end users. The company’s programs present consumers with an opportunity to enjoy different veal products that have a unique taste and texture. Today, Montpak International is considered as a leader in the industry of value-added processed veal products. The company has been given a “Humane Certification” for its “NaturReserve Certified Grain-fed Veal Program,” an award given by the organization American Humane Association. The Company’s NaturReserve program focuses on the humane raising of grain-fed veal. The program starts with a wholesome and natural diet, added with a lot of clean sunlight and fresh, clean water. All of this results in veal that has a distinct flavour and sublime texture, characteristics of genuine NaturReserve Veal. Montpak International’s products include frozen and fresh cuts of veal, ground and portioned veal products and fully cooked veal. The company’s products are sold at retail under the brands International Selections, Veal Inspirations, and Veal Perfections. Products sold under the International Selections label are all fully cooked veal entrees. Products sold under the Veal Perfections label are all portion-cut veal products that have been aged perfectly. Products sold under the Veal Inspirations label are either raw or cooked, value-added products made from veal.